What do I do if my Tablet is having power issues? How do I register my Tablet via application? How do I download fuel/mileage? What is the recording time on the dash cam and how are video files stored? Can I transfer my address book from my GPS device to the tablet? Can I connect my tablet to a Mac computer? How do I connect to Wi-Fi on my tablet? What is the warranty on my tablet? What is the difference between high and low video recording quality on the dash cam? Why did my GPS signal turn off? What is the maximum size of the SD card that can be used with my tablet? 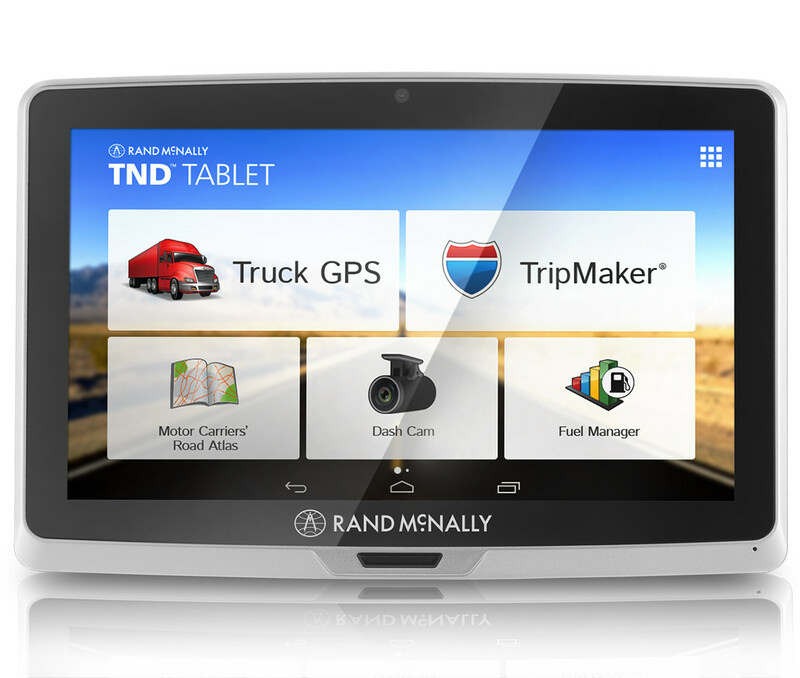 What is the Rand McNally Market and why should I register? Are there some basic tips for using my tablet? How do I exit the GPS app? How do I access traffic on my tablet? What is the setup and registration process for my tablet?